Zentail's inventory threshold feature is a safeguard against overselling fast-moving items. The best way to use this feature, and to avoid back orders, is to set an inventory threshold on your Account Settings page, and then ignore this threshold on one marketplace. This way, you can still sell your last unit or units on one marketplace. An inventory threshold allows you limit the quantity of your product available on multiple channels. When sending available quantity to each channel that your SKUs are listed to, Zentail will subtract your inventory threshold from your actual available quantity and make the final amount available. For example, you have 10 units available for your SKU. Zentail will make 10 - 3 = 7 units available for that product. In the Account Settings page, select the "Company Settings" section. 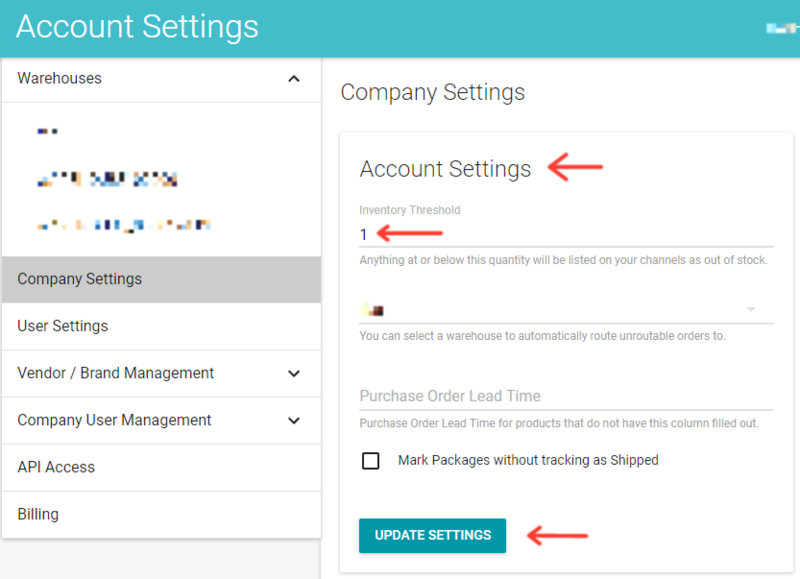 Under the Account Settings section, enter a numerical value, such as 1 or 2, in the "Inventory Threshold" field, then click the Update Settings button. In your Integrations page, for each of your channels, you are able to select a channel that will ignore the Inventory Threshold. If the inventory for a product goes below the threshold, it will be removed from other channels but still available on this one. If you have an available quantity of 10 and an inventory threshold of 3, then (as pointed out in the first section), Zentail will make 7 units available for purchase on each channel. 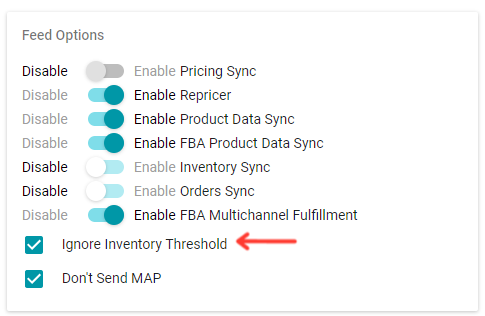 But if you want to make sure you sell those last 3 products, then you should choose to Ignore Inventory Threshold for at least one channel on Zentail. It is recommended that you ignore the inventory threshold for your highest selling channel and/or your most profitable channel. This often means ignoring the inventory threshold on one of the marketplaces (Amazon, Walmart, Jet, eBay), as well as you own webstore (Shopify, BigCommerce, Magento). This way, Zentail will make all 10 units available on the channel(s) where you chose to ignore your inventory threshold! Note: even with this enabled, an oversell can occur on eBay if you've enabled the setting that allows out of stock listings to be available. Be sure to go to My eBay > Account > Site Preferences. In “Selling Preferences” you can open “Sell Your Item form and listings”, and choose “Yes” “Use the option out of stock”.